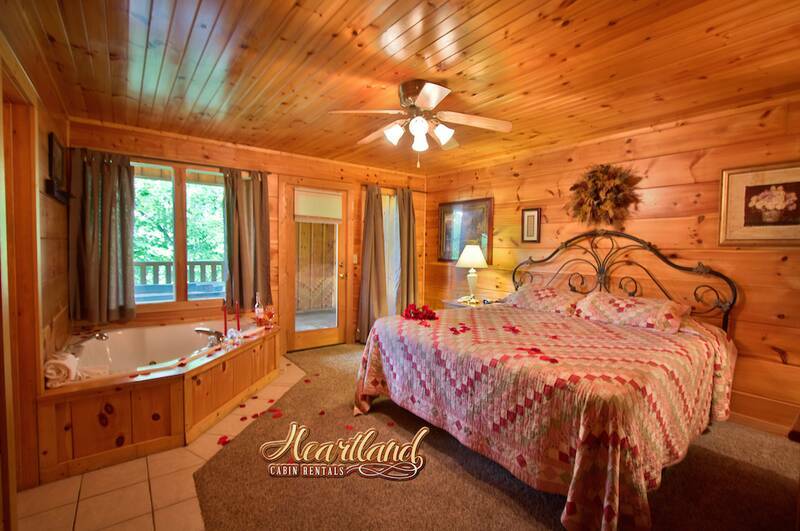 Mountain Music is a perfect romantic getaway for two or a small family vacation to The Great Smoky Mountains! 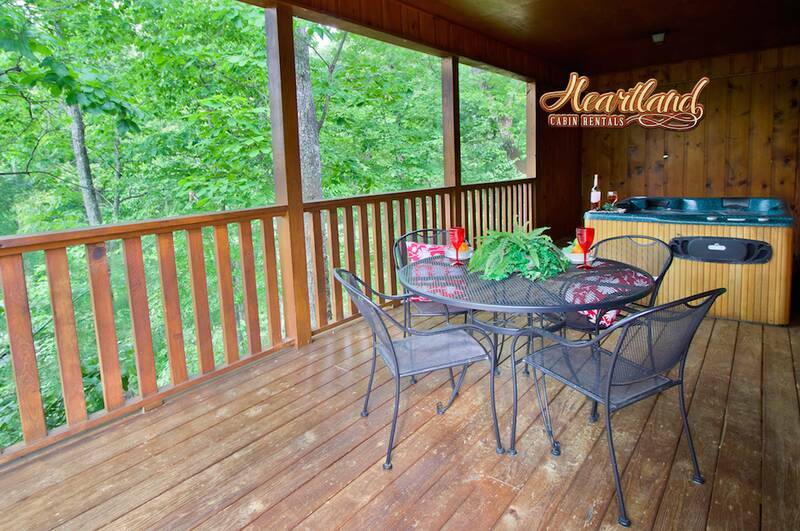 This 1-bedroom, 1-bathroom log cabin is located just between Gatlinburg and Pigeon Forge is only a short drive to Dollywood, Shopping and the entrance to the Great Smoky Mountains Park. The Cabin is spacious yet cozy. 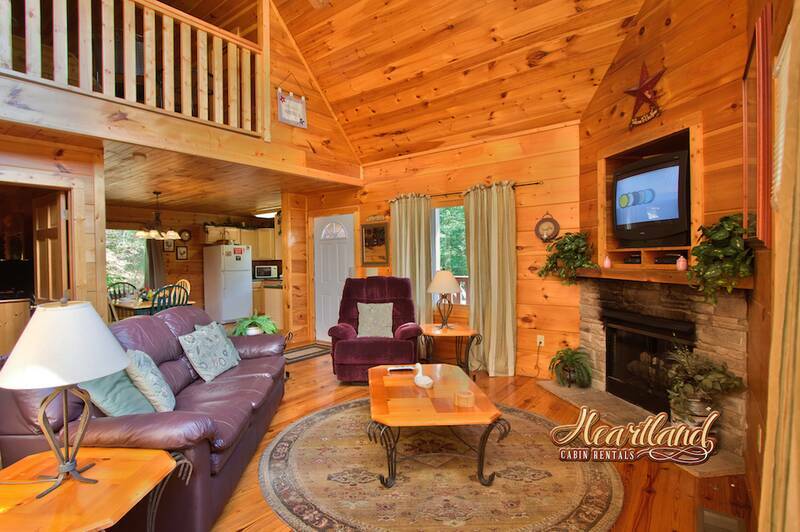 Amenities include a fully-equipped kitchen,washer/dryer, living room with a 55 inch TV, sleeper sofa and fireplace. Master Bedroom has a King bed,TV, jetted jacuzzi tub and full bath. 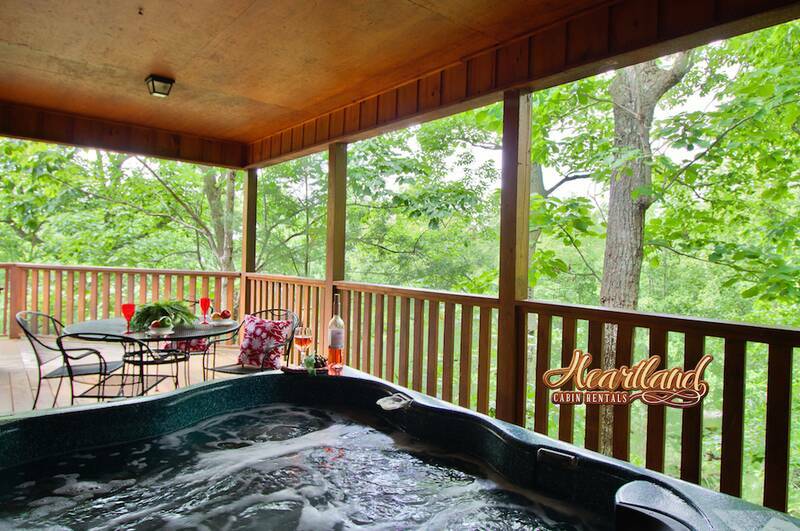 When you arrive back to the cabin after a long day having fun in The Great Smoky Mountains, relax in your private hot tub on the back deck off from the bedroom or soak in a bubble bath in the jetted tub. 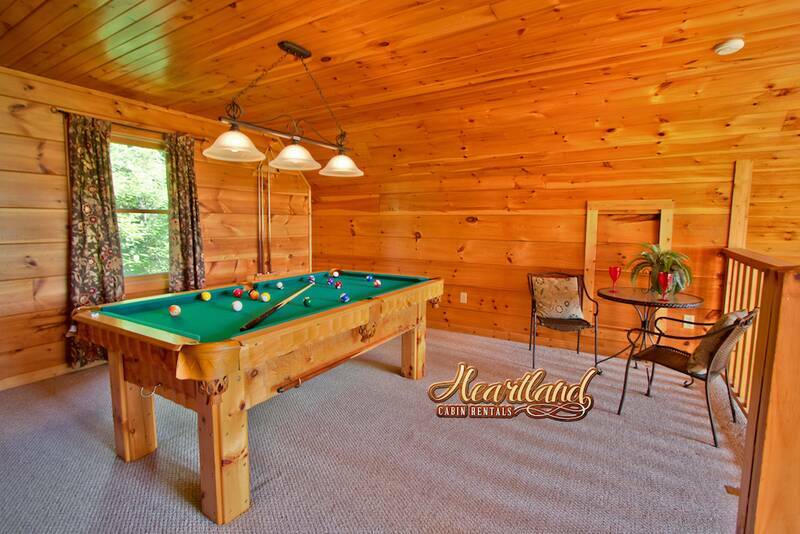 For your entertainment a pool table is located in the loft with a Bristol table and Chair set. Mountain Music is nestled in quiet surroundings, and is a perfect place to stay for a honeymoon, romantic or a family mountain getaway. CABIN IS NOT SMOKE FRIENDLY! Even though it rained the entire stay, we love it. 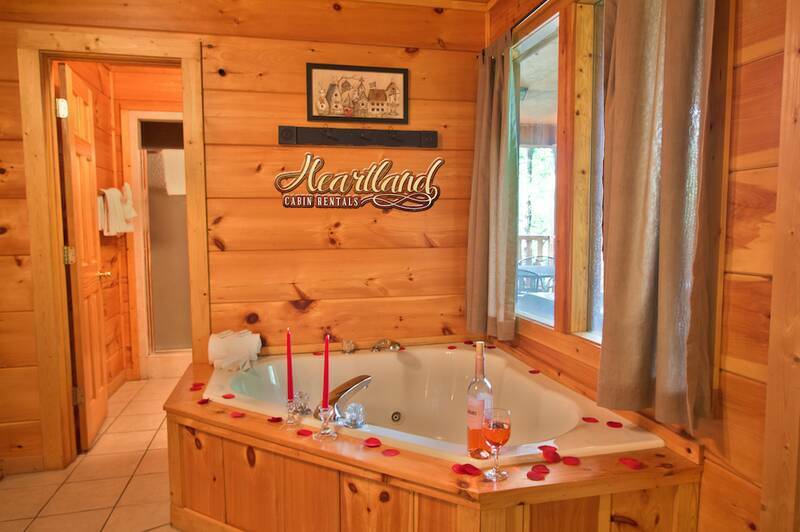 The cabin was awesome, so relaxing, love the hot tub, love the floor plan of this cabin. This was the best experience we have ever had for a vacation. The reservation process was quick and easy. I had one question and was answered back almost immediately. The check in was awesome. She even took the time to go over some of the attractions with my 12 year old son. She explained everything down to the last detail. 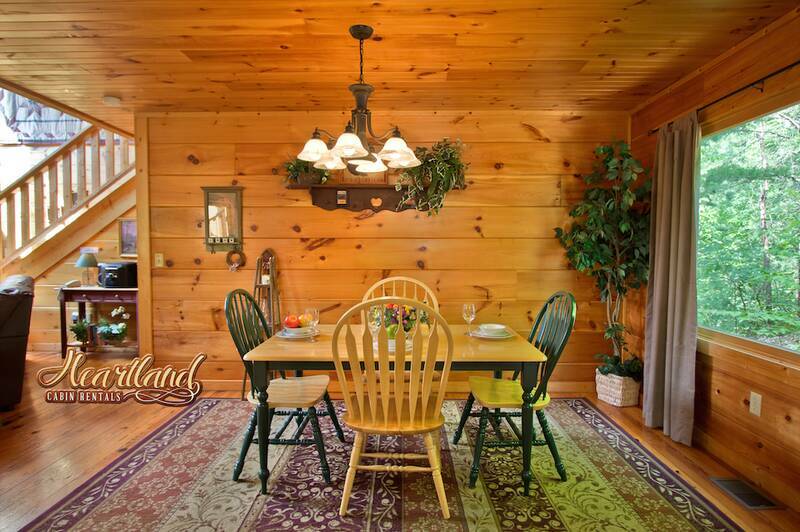 The cabin was great and it looked just like the picture and the words described it.We will be using Heartland again on our next vacation. I have already told a number of people about you and in fact of daughter is looking now for a possible November vacation. I had already purchased my tickets to some of the attractions before I read that we could get a free ticket. We will take advantage of that next time. Thanks again for everything.. . The cabin and staff was amazing. I loved our cabin, it was perfect for our honeymoon. Holly was the person we talked most to and she went above and beyond to make our stay the best. 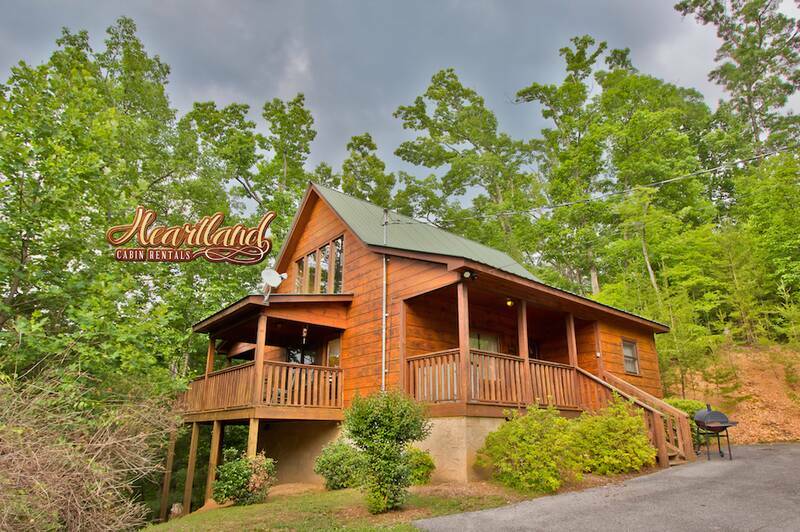 Every time we come back to this part of the smokies, we will definitely go through heartland rentals for a cabin. My wife and I thought this property was amazing for our honeymoon. When we drove up to the cabin my wife and I was amazed to see how beautiful and well kept the property was. This was the PERFECT place for our honeymoon. If any way possible we will be returning for our anniversary next year. 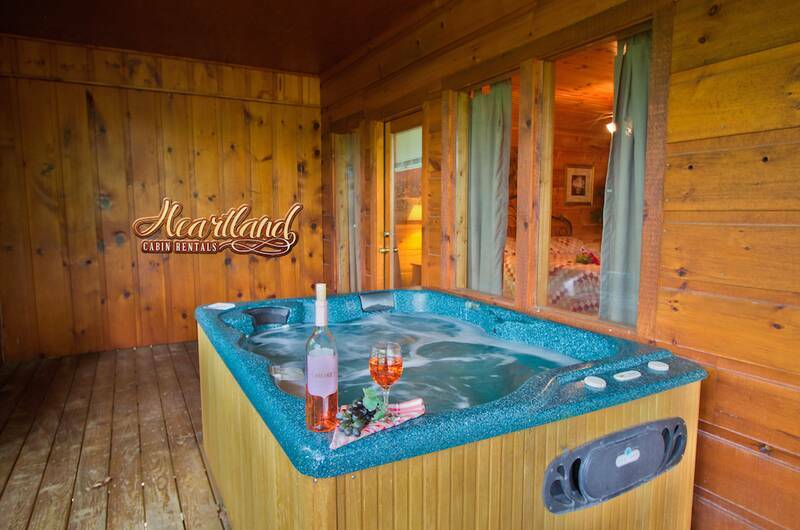 Thanks Heartland for a outstanding stay and the young lady in your Pigeon Forge office for being so helpful. 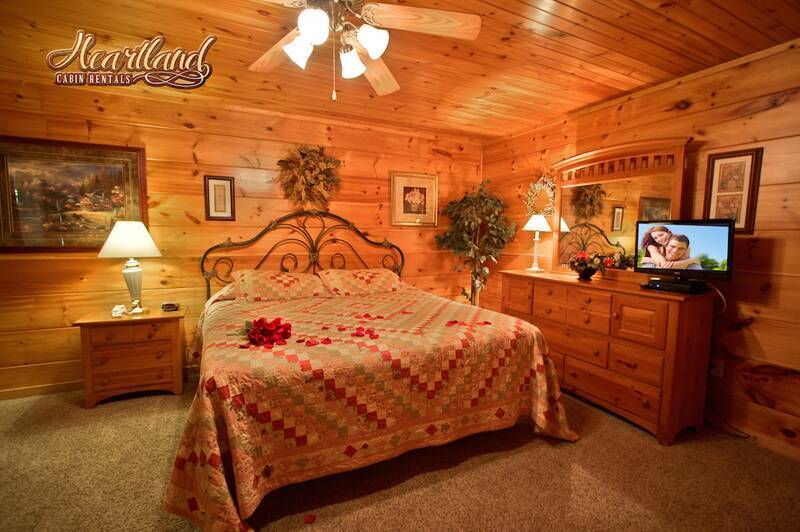 Cabins were wonderfully clean and had everything you needed . Close enough to everything that we hit one towns attractions one day, the other town the next. Family owned business and everyone was very kind. We even booked one more cabin for just a rest day before we hit the road. If we come back through town we'll be staying here again. Our cabin met all expectations and was clean. The bed was soft. The staff was friendly and very helpful with all questions my husband and I had. Will for sure be coming back and booking with Heartland again. Thanks so much. We enjoyed our stay at the Together Forever cabin, it is located in a very beautiful location, very peaceful and quiet. 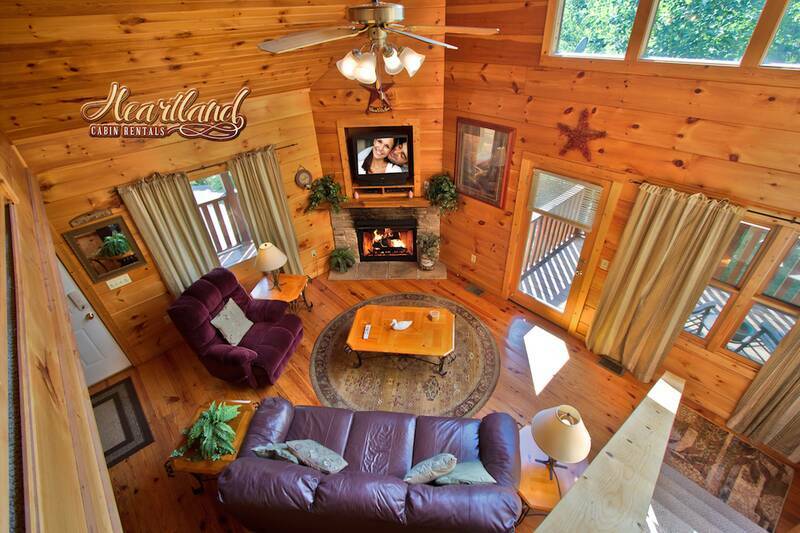 Heartland was great to work with... 5 stars !!! The cabin was very nice and clean. We will be back the first chance we get. 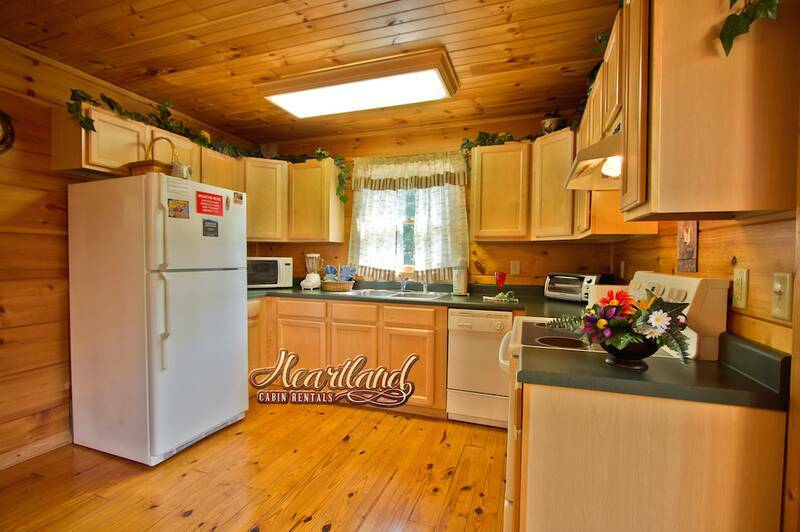 But the Company Heartland really impressed me, they help us find a very nice cabin on a short notice and fit our budget. 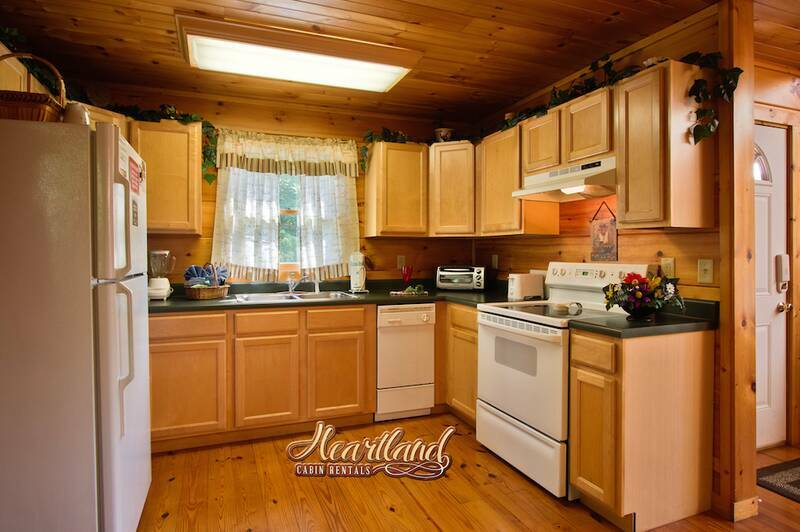 We had a wonderful stay and will use Heartland with all our future visits. Thanks guys!!! 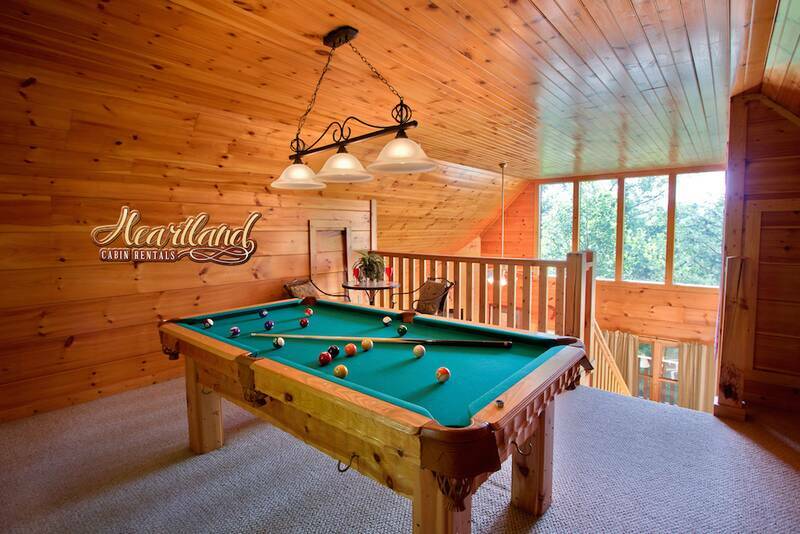 We always stay with Heartland Rentals and we have several times. Misty in the office is so friendly and helps to meet our requests when we call. thank you for making our stay so hassle free. We love Mountain Music and we will stay in this cabin again. We loved it and it has become our favorite cabin. It was fantastic weekend of rest. The staff was very helpful. The cabin was perfect. It was close by to anything/everything that we wanted to do. One thing that could be improved is the directions to the cabin. They were not bad, but they could be better.